Get content you can customize and share with your YOUv2™ Challenge Groups. Review the Product Training Guide for everything you need to know about YOUv2. 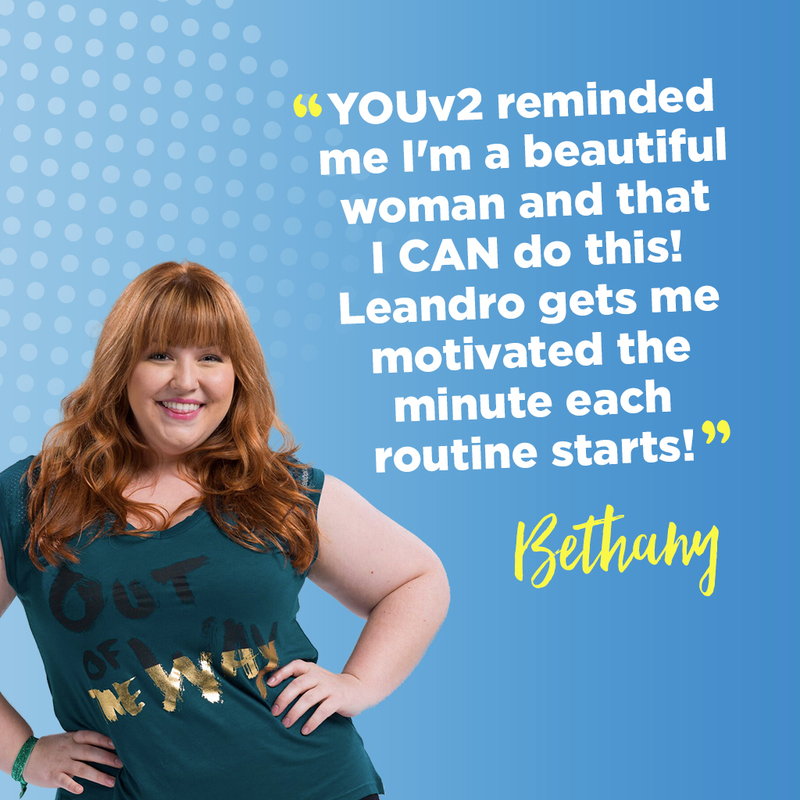 Share this message from Leandro with your challengers. Use My Challenge Tracker. My Challenge Tracker was designed to help you run your Challenge Groups and get your customers the best results possible. Using the app, your participants can track their workouts, Shakeology, weight, measurements, and progress photos, while interacting with one another in a closed forum. Simultaneously, with the Coach Portal, you can gain insights into your participants’ daily activities to help keep everyone accountable. Kick off with a group meeting and set expectations. Whether in person, via Zoom, or over the phone, holding an initial group meeting is a great way to set clear expectations that can define a rewarding experience for your participants. It also creates a team culture where participants can feel a sense of belonging and gain encouragement from others. Walk them through the My Challenge Tracker app, showing them how to track their activity and engage within the group. Tell them what they need to do to be successful (i.e., check in daily, drink Shakeology, set realistic short-term and long-term goals, etc.). Share how you and others in the group will support them along the way. 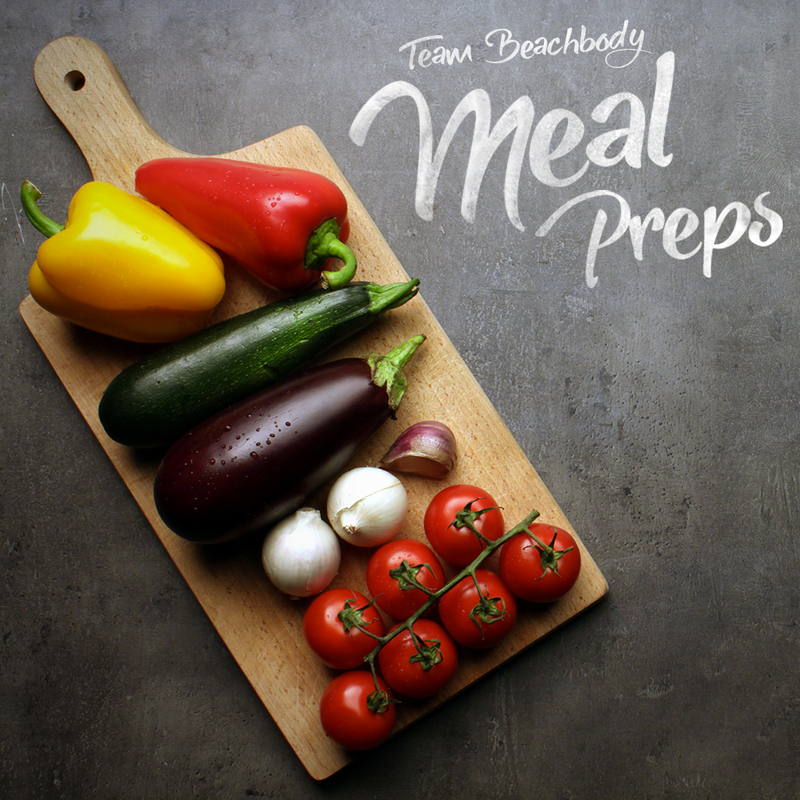 Share the Team Beachbody meal prep guides. These guides are tailored to different calorie needs and make meal prep simple, providing grocery lists and step-by-step instructions for planning breakfasts, lunches, dinners, and snacks—one week at a time. Continue with the momentum even after your Challenge Group ends. 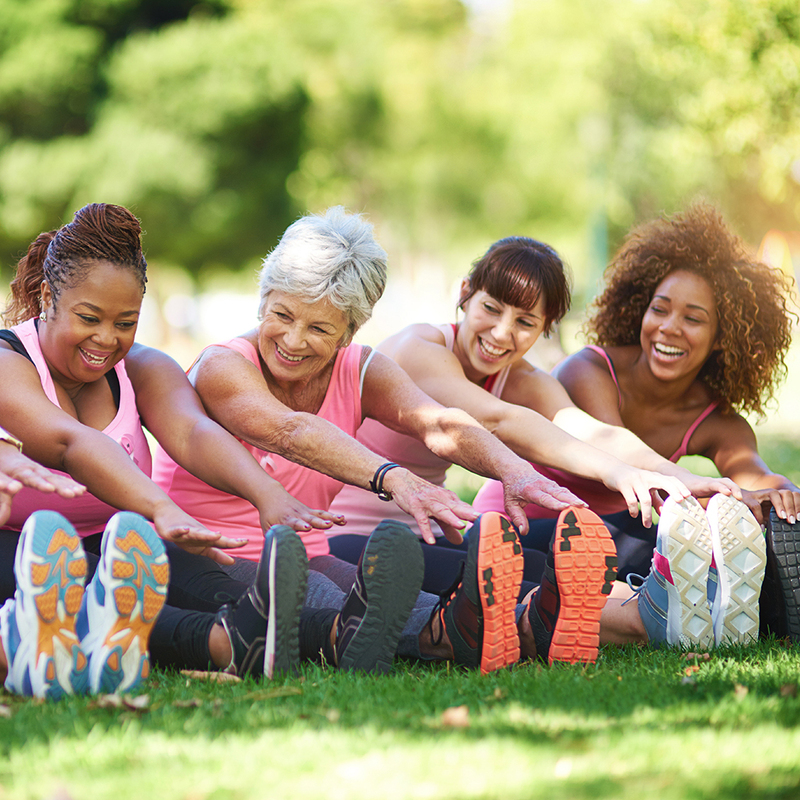 Check out these tips for effectively wrapping up your Challenge Groups and getting your participants to join your next challenge–or transition to become a Coach. Welcome to our YOUv2 Challenge Group! This is your opportunity to make positive lifestyle changes to become a healthier, more confident YOU. And the best part: we're going to do it together. 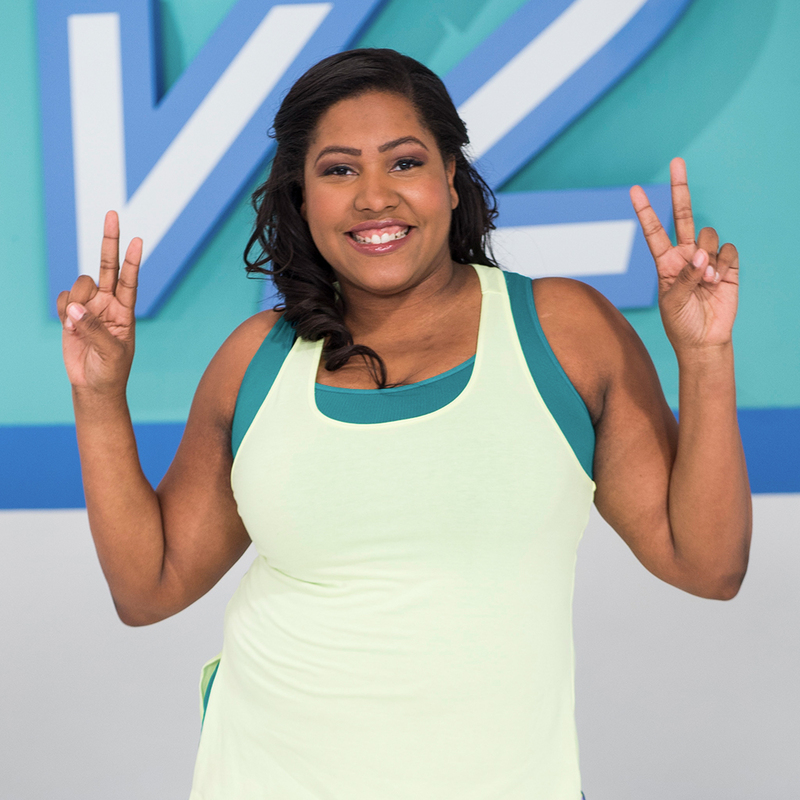 If you've ever struggled to reach your health and fitness goals, YOUv2 will remind you how fun it is to get moving to great songs, and lose weight while you're doing it. There's proof that changing habits is easier than you might think. We're going to hold each other accountable and support one another throughout the next 4 weeks. 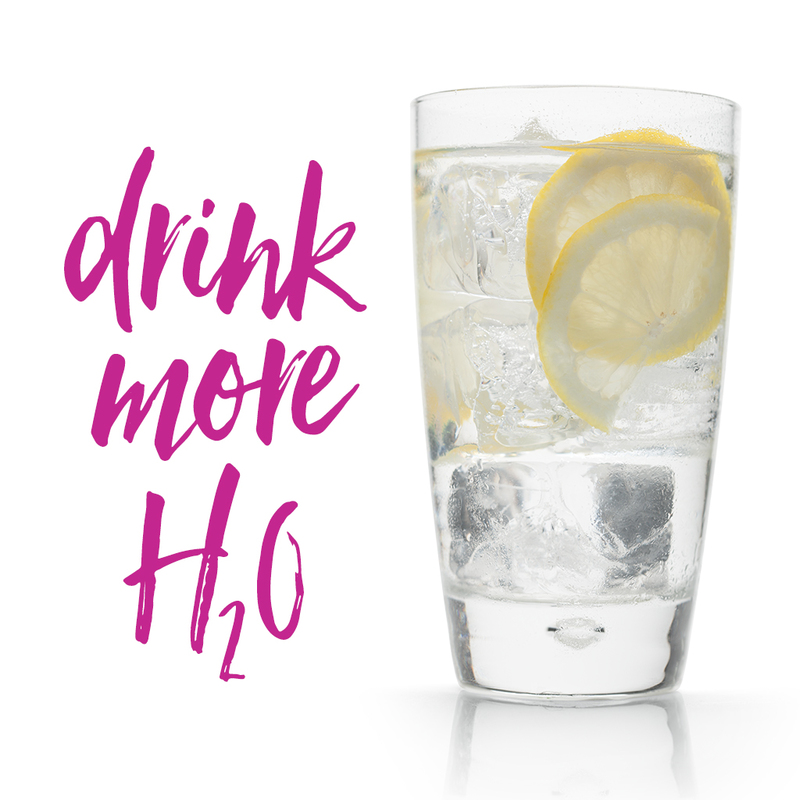 Along the way, we're also going to drink more water, and follow an easy-peasy nutrition plan that can help make your results come much faster. I want you to treat this challenge as your support group. Ask questions, share your experiences, and connect with other members. Staying accountable to each other is the best thing you can do to ensure your success. From now until the end of our 4-week challenge, I will provide fitness and nutrition tips, as well as recipes to make this journey super-simple and fun. 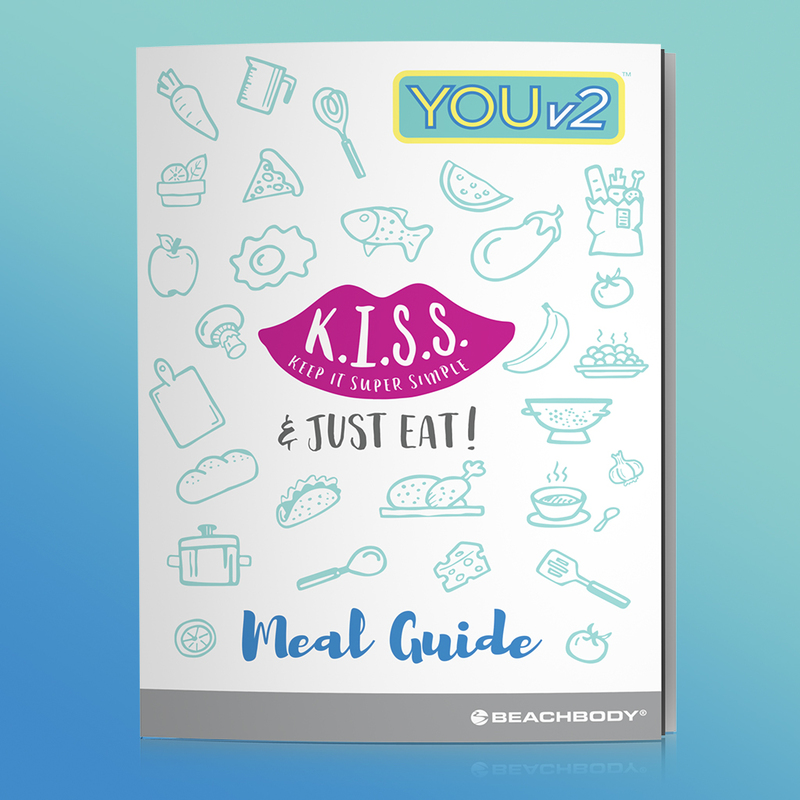 I will also give you guidance on how to follow the YOUv2 meal guide, and of course plenty of inspiration and motivation to keep you moving toward a new version of you. Why are you committing to this journey? Why did you choose YOUv2? What can we do to help you reach your goals? 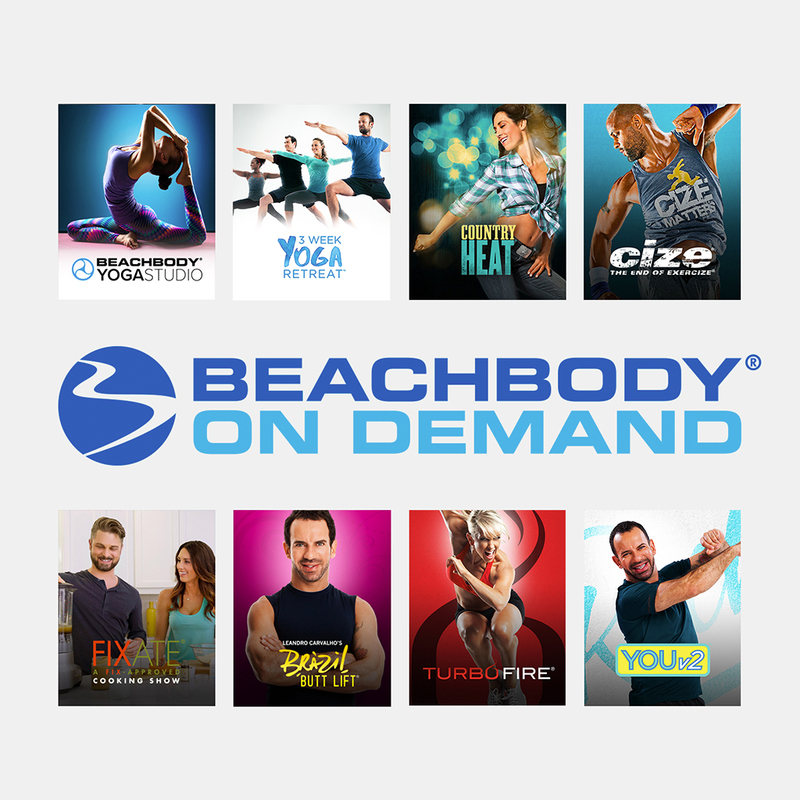 Be sure to check out Beachbody On Demand. You can stream your YOUv2 workouts right from your laptop, tablet, smartphone, or TV—anywhere you have an internet connection. Plus, you can access tons of tools, like the YOUv2 calendar, nutrition plan, and more. 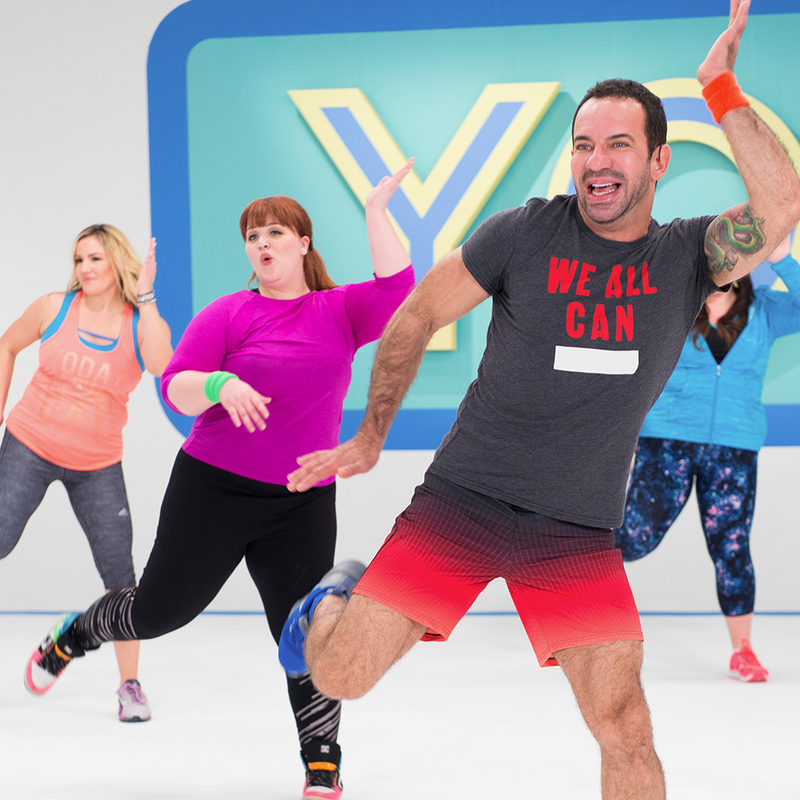 And when you're done with YOUv2—which I know you're going to love—you can browse other programs to continue on your health and fitness journey. Time to get acquainted with your K.I.S.S. (Keep It Super Simple) & Just Eat! Meal Guide. What I love about this guide is it doesn't ask us to go "cold turkey," change all our eating habits right away, or go on a strict diet. Instead, it's all about how we can make small, simple changes over the course of 4 weeks. Totally achievable, right? Getting started with something new can be stressful. Trust me, I'm right there with you. The good news is there are tons of great resources to help you during this challenge. Here's a great place to start—check out the Team Beachbody meal prep guides. They're tailored to different calorie needs, and packed with tons of yummy ideas to make meal prep simple. What's inspiring you to get started today? We are ONE DAY AWAY! Who's excited? Who's a little nervous? Here's a great task to get you ready for tomorrow: Take your "version 1" (aka "before") photos today, so you can keep track of your progress throughout the next 4 weeks. I know not everyone likes to document things about themselves—but trust me, you'll be thankful you took this step so you can show off your transformation to the new version of YOU! As an extra incentive, if you keep track of your photos, weight, and measurements, when you finish the program you can enter the Beachbody Challenge by visiting BeachbodyChallenge.com. When you enter and submit your results, you will also receive a free gift (while supplies last) to celebrate your success. So keep track of everything! You'll be amazed by your results in the end! HERE WE GO! 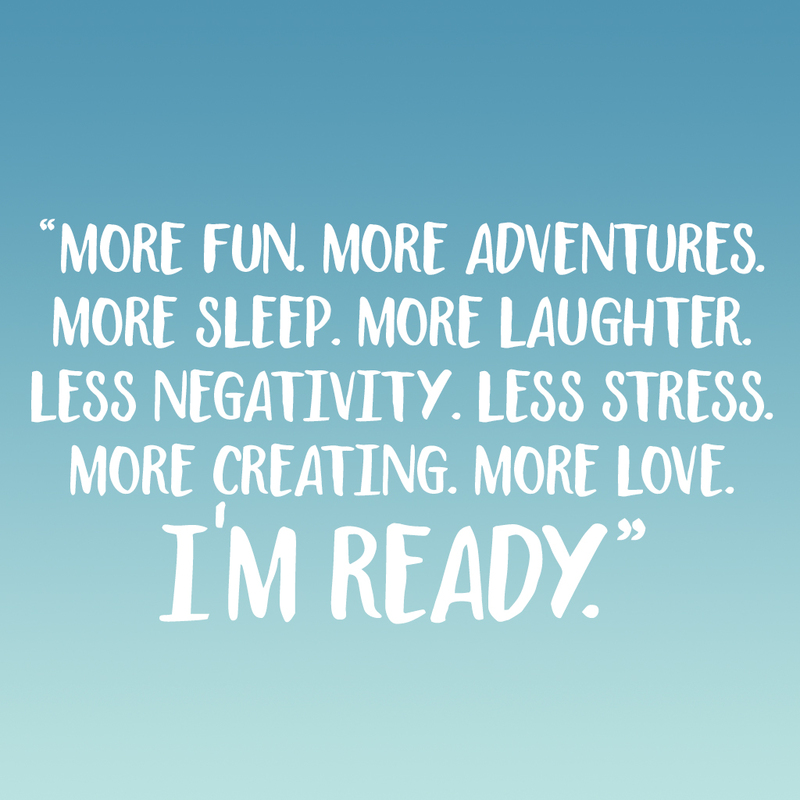 Get ready to become the new you! Today you'll do your first workout, Move Your Body. It's super-fun, easy, and I promise it'll fly by. 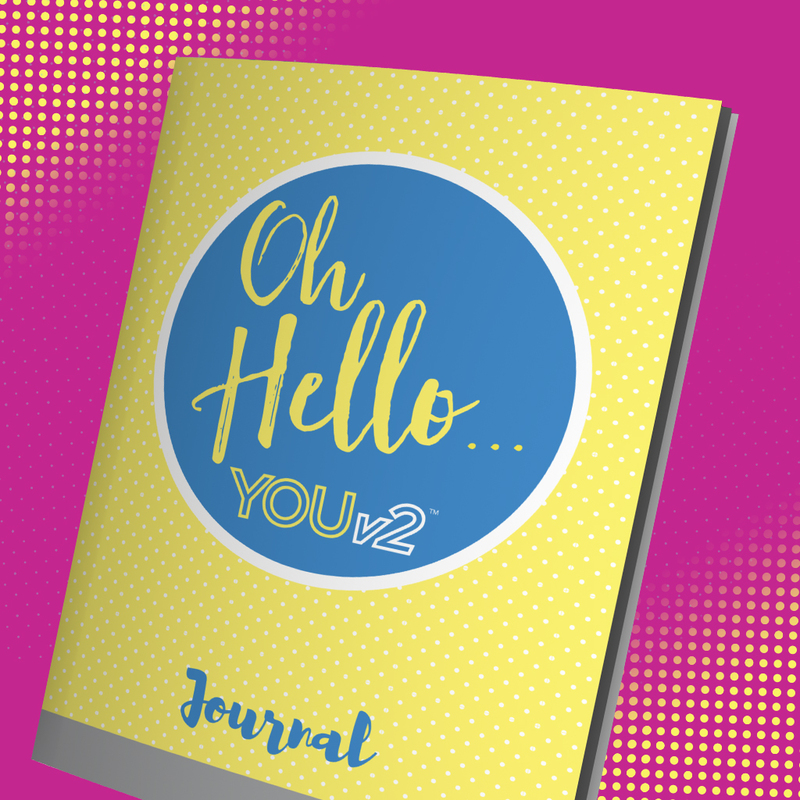 Also, you'll want to use your Oh Hello YOUv2 Journal to set goals, track your progress, and keep note of how you're feeling throughout the next 4 weeks. You'll start to recognize habits that may be setting you back and this can help you get out of your own way to reach your goals. And of course, make sure you're using the meal guide so you're eating right as you begin this amazing journey. Coach Tip: Share your favorite recipe or tip for meal prep—and encourage your group to drink Shakeology. Let's talk about today's workout, Move Your Body. What did you like? Did you have fun? As you can tell by now, Leandro can be pretty inspiring. If you've already done the workout, you've just accomplished 30 minutes of fun, healthy moving. If you haven't yet pressed play, get ready to sweat and have some fun. When do you drink your Shakeology? First thing in the morning? Afternoon snack? Right after your workout to avoid grabbing a sweet treat later on in the day? Getting meaningful results and reaching your goals takes a commitment to not only your fitness, but also your nutrition—which is where Shakeology comes in. The idea here is that we are rewiring your body and changing those bad habits into healthier ones. Coach Tip: Celebrate the success of someone in your group. It helps you build rapport and dialogue with your community and encourages them to stick with YOUv2. Sample post: [Name] is crushing the workouts this week! Tag [Name] in a post and congratulate her on her hard work! You're almost done with your first week of this 4-week journey. How are you feeling? Muscles sore? If so, try soaking in Epsom salts to reduce any tenderness. What is your favorite part so far? What do you want to achieve? What are you looking forward to most? Since we're all in this together, what words of advice can you share with our group? If you've been scanning through Beachbody On Demand, you've probably noticed it's not all fitness, but nutrition as well. 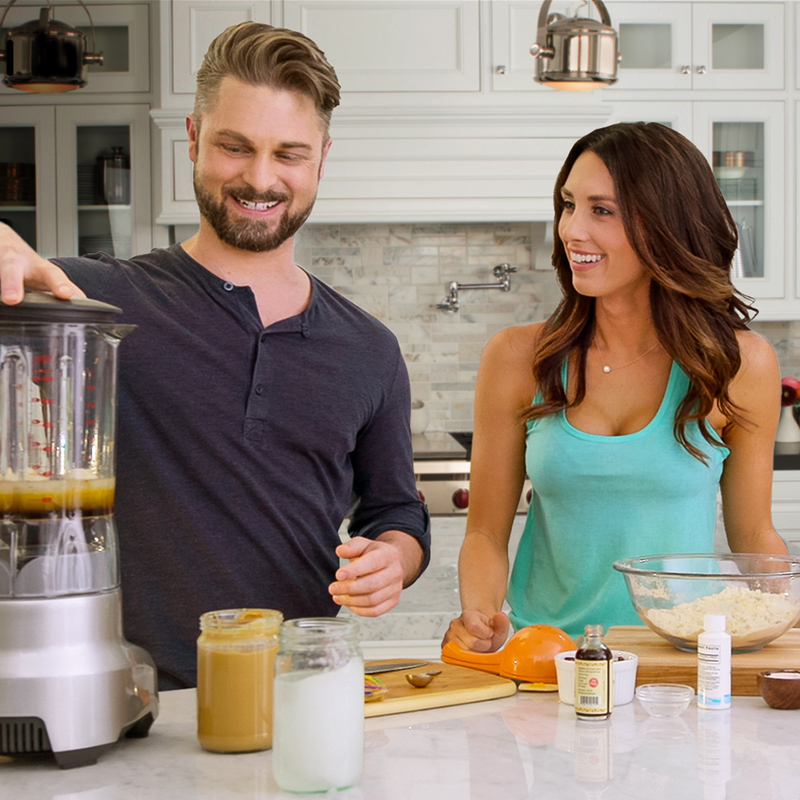 I love the FIXATE healthy cooking show, which features perfectly portioned, delicious recipes! Make sure to check out the "Containers 101" video on FIXATE which explains how the portion-control container system works and why portion-controlled meals and snacks can give you even better results. Need ideas for what to put in your containers? Check out your K.I.S.S. Meal Guide for some great tips for the containers. Then tell me what you think! Day 8: Work It. $hake It! Day 9: Work It. $hake It! Day 10: Work It. $hake It! Day 11: Work It. $hake It! Day 12: Work It. $hake It! I read this quote today—not sure who wrote it, but it's so true! Are you prepared for Week 2? Anything you'll do differently this week to better set yourself up for success? Step 2 of the K.I.S.S. (Keep It Super Simple) & Just Eat! 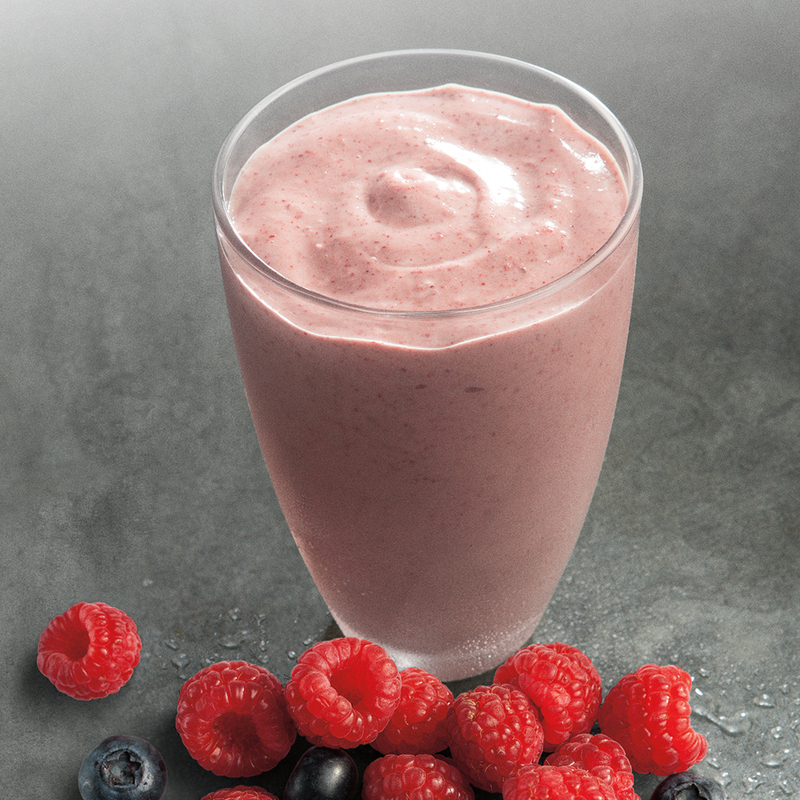 Meal Guide is all about replacing your old breakfast with a YOUv2 breakfast. Breakfast kick-starts your metabolism, which helps you burn calories throughout the day. Eating breakfast can give you more energy and helps you focus—it's been proven to improve memory and concentration. So, what did you eat this morning? Mixing things up today! 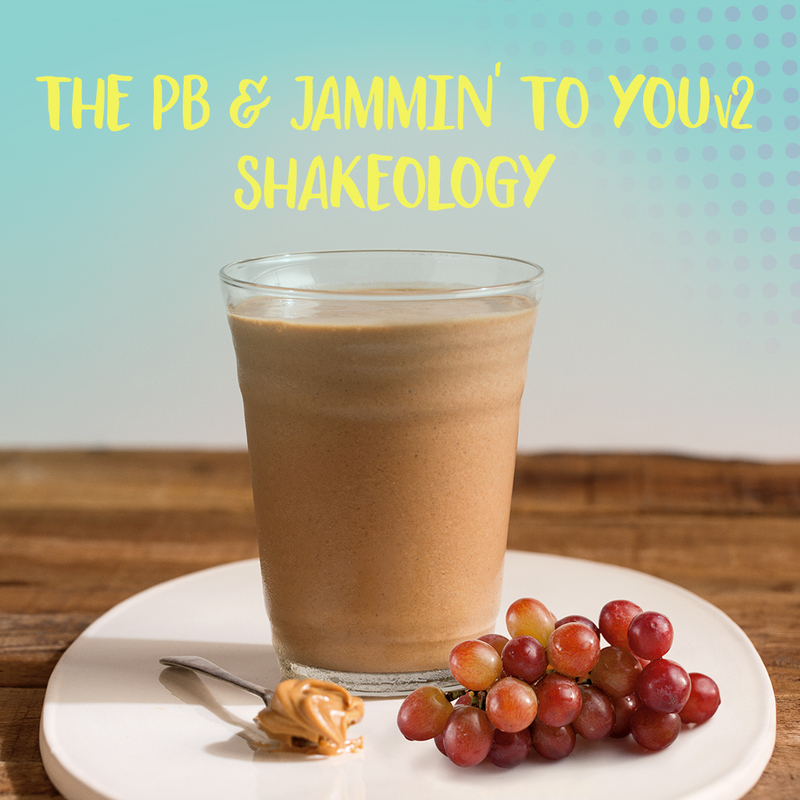 The PB & Jammin' to YOUv2 Shakeology recipe is so good you'd almost think it's the real thing blended up. What is your go-to recipe on days where you want to switch things up? Coach Tip: Take some time to recognize the efforts of someone in your group today. Pick someone who has shared a good comment or post, or who is crushing their workouts, using the Intensifier option, or staying consistent with their nutrition. Then, feel free to add the post below with it or post it later in the day. Sample post: Big props to [Name]! I'm so proud of her hard work and effort. Her determination is totally inspiring. If you have a chance, tell [Name] great job for her dedication this week! Are you using your Oh Hello YOUv2 Journal? Tracking your progress is a great way to stay accountable and help reach your goals. Make sure to give yourself credit for the new habits you're forming and workouts you're completing. And don't forget to make note of any triggers to setbacks or motivators to success. Anything you'd care to share? 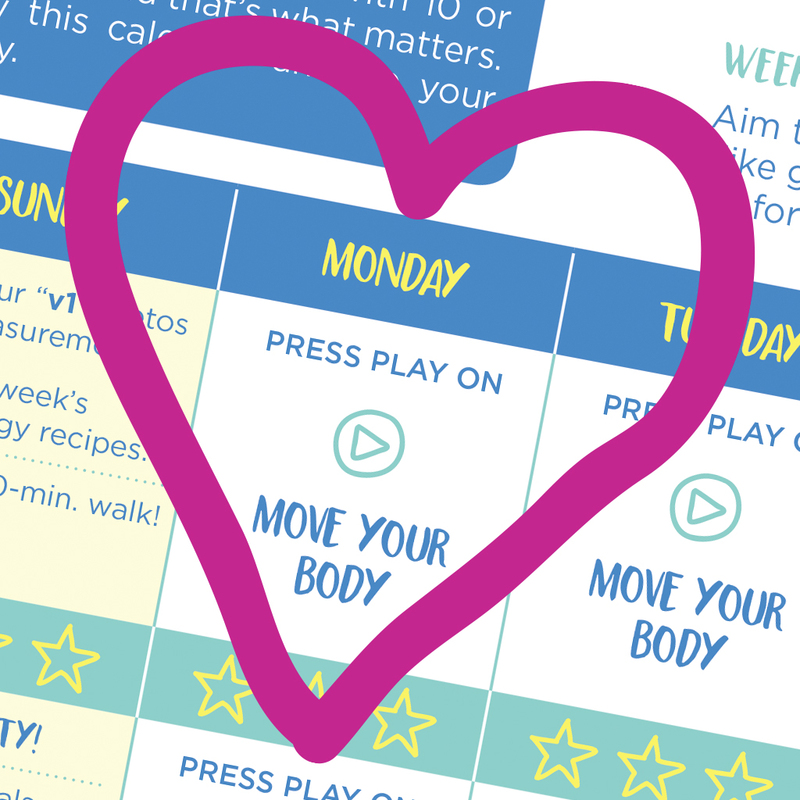 You're almost halfway through your 4-week journey to the new you! Don't forget the importance of stretching. Take a few minutes to work out the kinks. You may not be sore (because your body is getting used to all this moving), but it's still important for your joints and muscles to keep limber and loose. Halfway there! Today is a rest day, so hopefully you're finding a few minutes to recharge. How are you feeling? 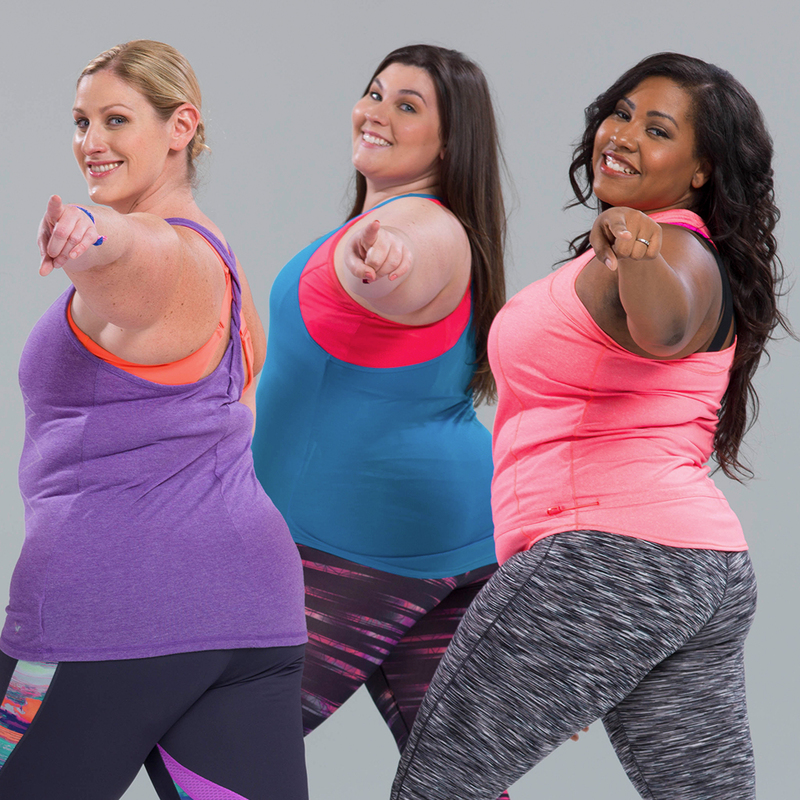 Share your favorite moves from Work It. $hake It! Also, take a photo of yourself that you can look back on and remember that you've just conquered Week 2! Day 15: Rock It Out! Day 17: Rock It Out! Day 19: Rock It Out! Leandro and I (yeah we totally talk through the screen) don't want you to worry about the scale or focus on what you'll lose with this program. Instead, we want you to concentrate on what you can gain through this experience! 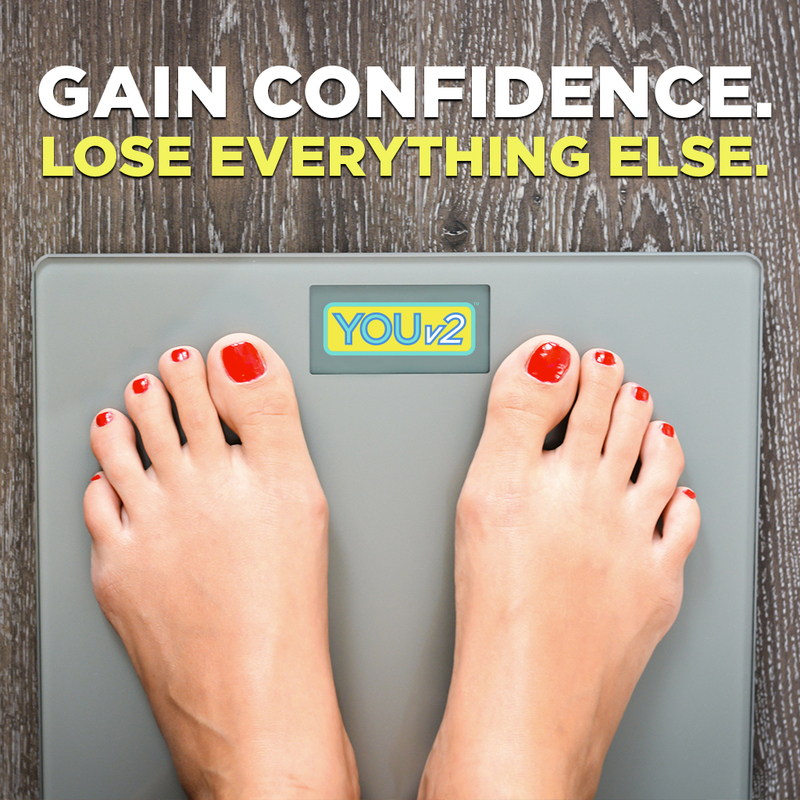 I want to gain confidence, energy, a healthier attitude—plus the belief that you can get results. What do you want to gain from YOUv2? 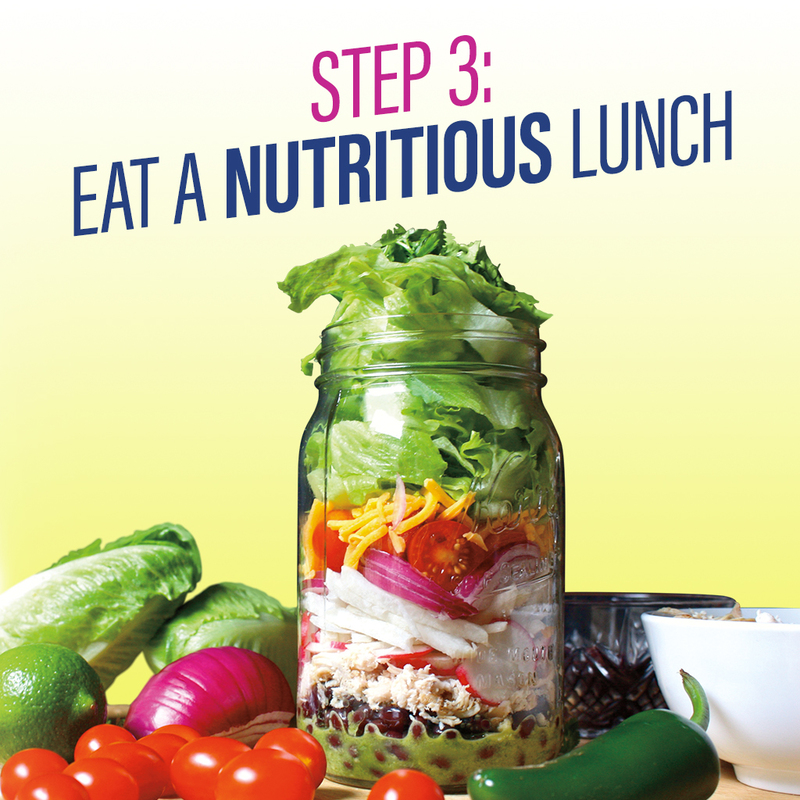 Step 3 of meal guide: LUNCH! Hopefully, you've been eating a YOUv2-approved breakfast and drinking your Shakeology daily. Now it's time to replace your lunch with one of our delicious big salads. Lunch is crucial—you've got to get it right because it's the meal that powers you through the rest of the day. A good lunch can help smooth out your metabolism and caloric burn, by training your body that THIS meal is going to be packed with nutrients, good calories, and more! 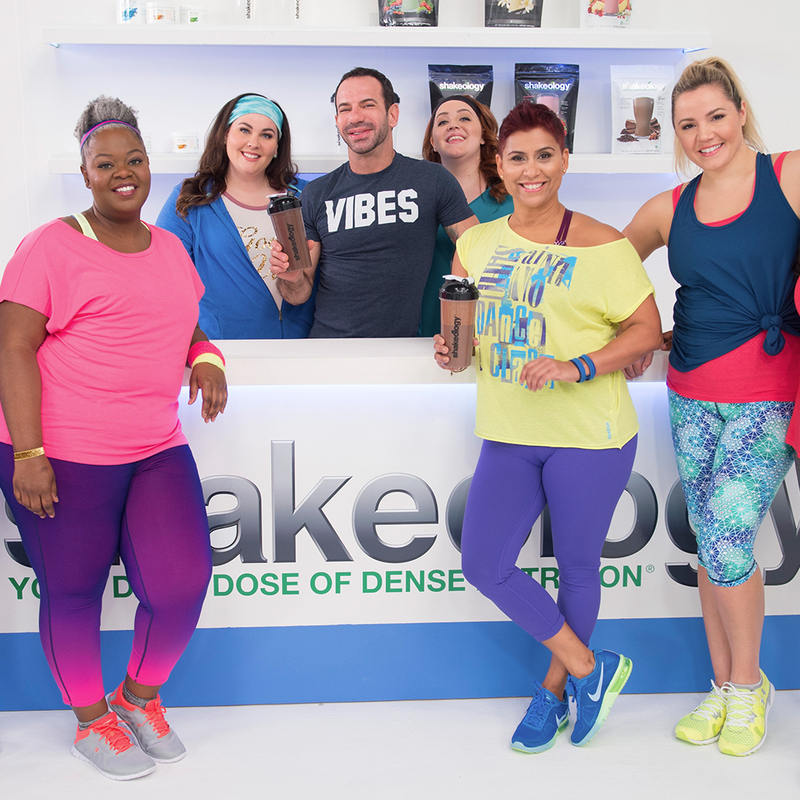 What's been your biggest happy surprise with Shakeology? 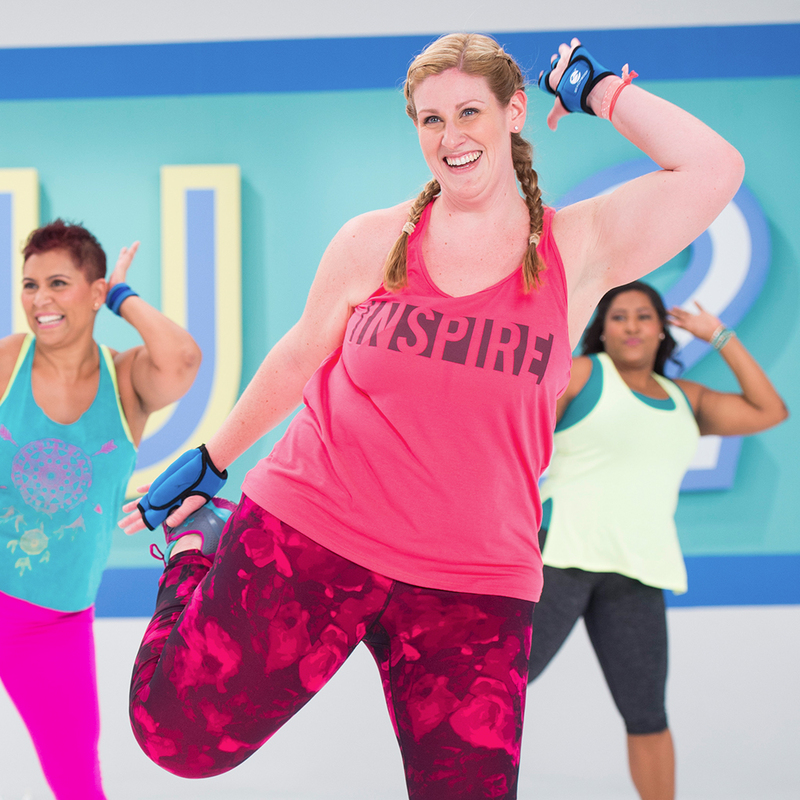 This week we're kicking it up by adding Sculpt Shack to our cardio workouts. 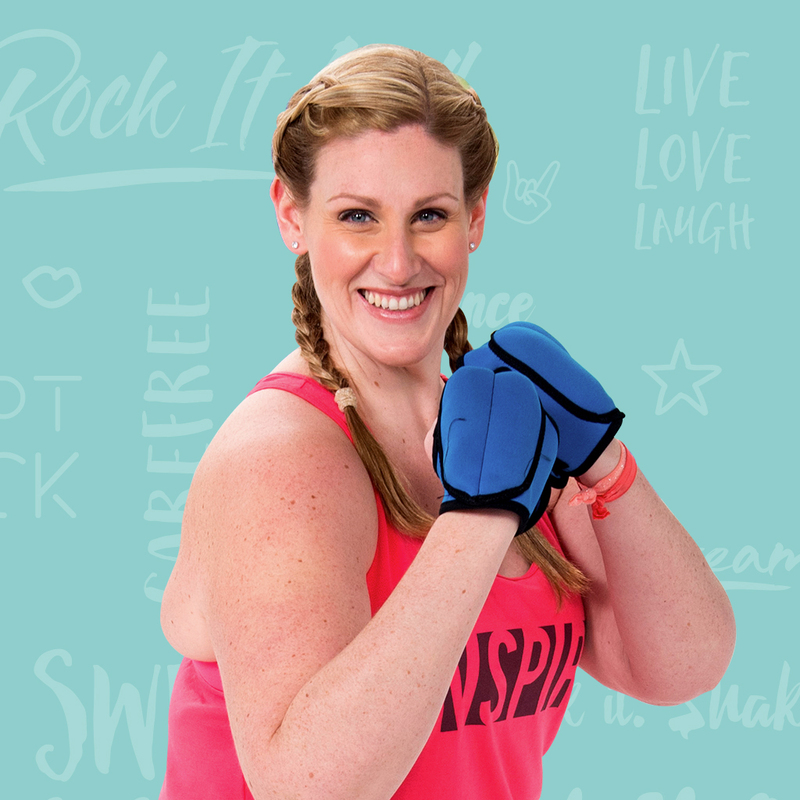 Sculpt Shack is one of 2 body-sculpting workouts that uses some light cardio set to a great song that will keep you moving! Coach Tip: Recognize someone in your group today. You can give a shout-out to someone who is loving YOUv2, and inspire those who can use a little more support. Sample post: Did you see [Name]'s results? She already lost five pounds! Awesome work, [Name]! 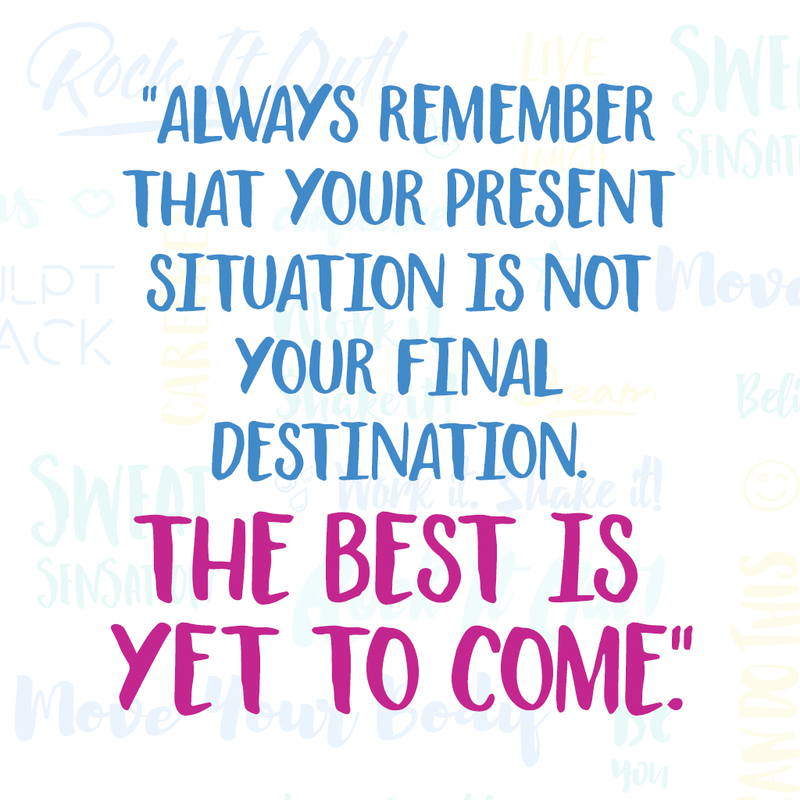 Personal development specialist Zig Ziglar nailed it—your BEST is yet to come. Stick to this program, and I promise you will look and feel better, whether it's [LIST SOME BENEFITS – i.e., developing healthier habits, gaining energy, etc.]. Also, I want to share this amazing quote from Bethany, who completed YOUv2. I love it! Week 3 is done! Nice work. You should be very proud of yourselves. What I love about YOUv2 is that it's so fun and supportive it doesn't feel like a workout. Do you feel that too? Now that Week 3 is done, take another picture of yourself and compare it to where you began. You might begin to see some real changes from Day 1—and there's more to come! 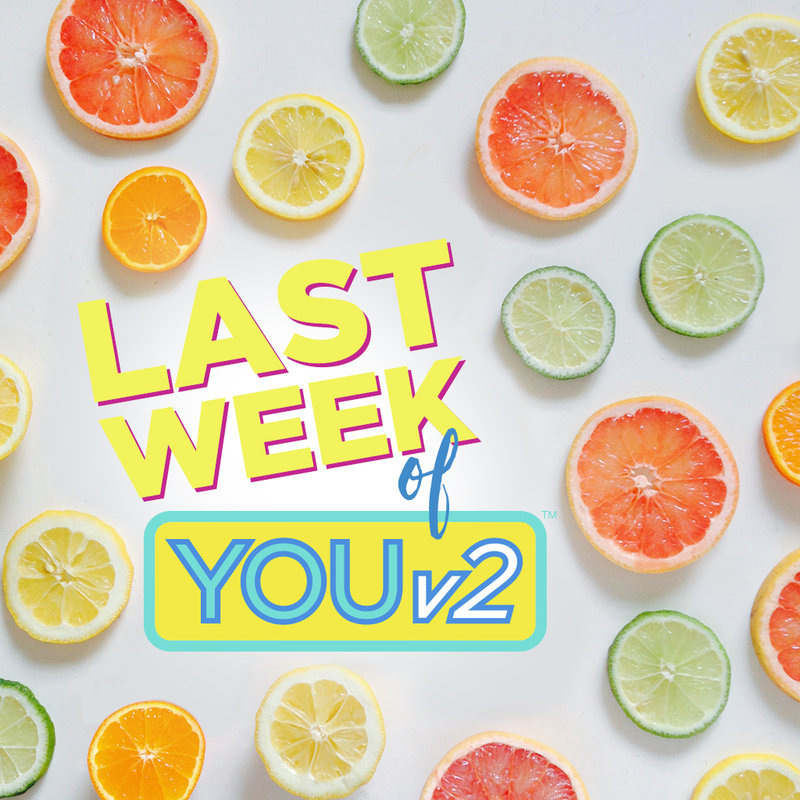 It's your last week of YOUv2! I hope you're ready to finish strong during this last week of your journey to a new you! Here's something I'd love for you to do—consider it an extra challenge just for today—go find a mirror and take a good look at a winner. Step 4: This is it. 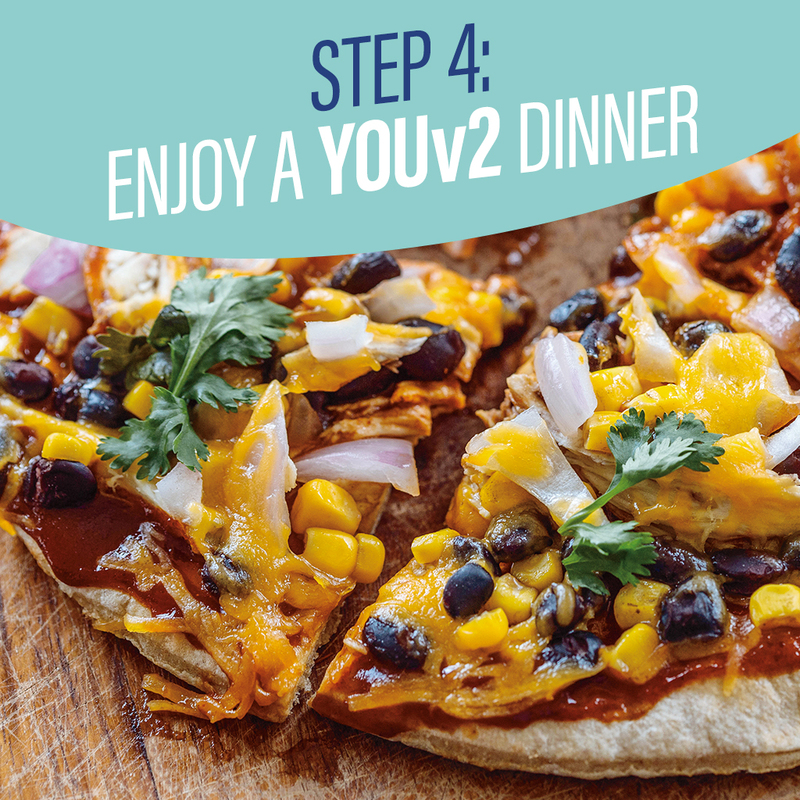 Make your day healthy from dawn to dusk by enjoying a YOUv2 dinner every night. Hopefully by now you've discovered some delicious new options in the K.I.S.S. (Keep It Super Simple) & Just Eat! Meal Guide. No one likes a strict diet—that's why you'll find tons of options that will satisfy your hunger for a something yummy AND good for you. My favorite YOUv2-approved recipe is [INSERT FAVORITE RECIPE]. What will you be enjoying tonight? It's never too early to think ahead. What will you do to continue your journey after YOUv2? There are tons of programs to choose from on Beachbody On Demand. 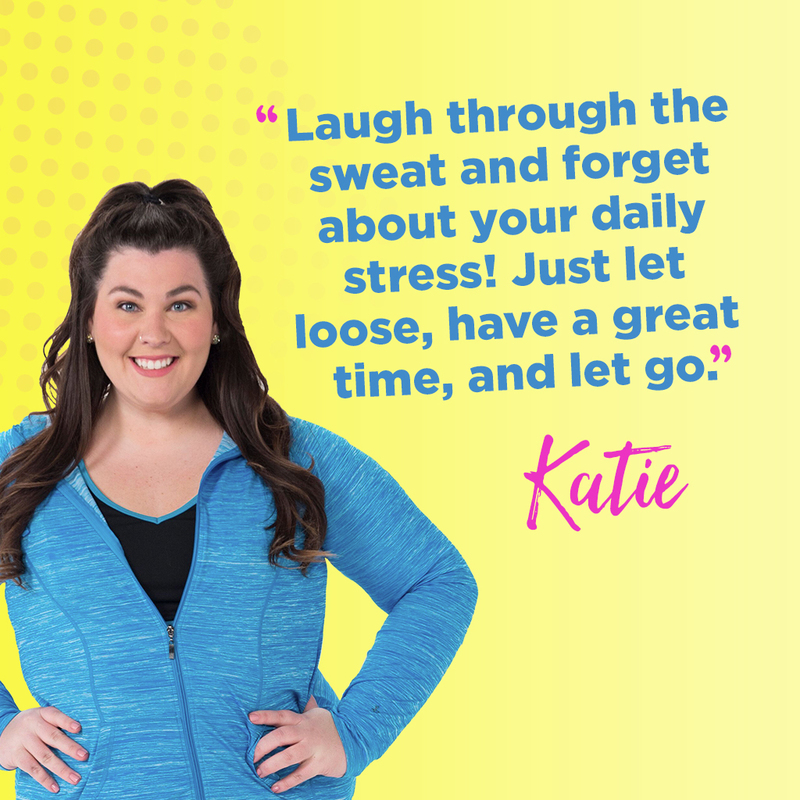 A few of my favorites are CIZE, Country Heat, and Hip Hop Abs—all are dance workouts with easy moves to help you keep moving. But you can always do another round of YOUv2! Now that we're almost at the end of the challenge, hopefully you've developed a bunch of new habits that will help you continue living a healthier life. Drinking Shakeology is one of the habits I've stuck with since I completed my first-ever Beachbody program. I've been drinking it over the last [insert length of time you've been drinking Shakeology], and I really believe it's what's helped me stay consistent. I hope it's made as much of a difference for you on your journey as it has for me on mine. Coach Tip: This is the final week—another great opportunity to recognize someone in your group. Call out someone's nutrition successes, positive attitude, or great support-building. Sample post: [Name] is killing it with nutrition! Once an avid soda drinker, she now hydrates her body with ONLY water. Keep it up, [Name]! Almost there! Keep on dancin'! What's your favorite song from YOUv2? You made it to the LAST DAY of our YOUv2 Challenge Group! I am truly so proud of every single one of you. And you should be proud of yourselves too. Here's what I want you to do after your workout today: Take your "version 2" (aka "after") photos. Go to BeachbodyChallengeContest.com and submit your "version 1" and "version 2" photos to claim your free YOUv2 hat. It's been a blast leading this Challenge Group and hearing your feedback, stories, challenges, and successes—thanks for joining me. But don't stop now. You've come so far! What Beachbody On Demand workout do you plan to do now that you've completed YOUv2? Or do you want to do another round of YOUv2?